In Kompyte's Keyword section you’ll find all information related to keywords. 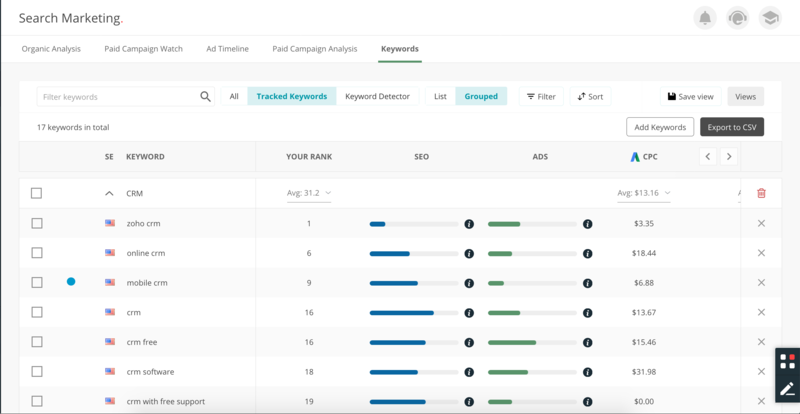 Find the stats on keywords you’re already tracking and check out which keywords your competitors are using for their ad campaigns and SEO in the Tracked Keywords Table. 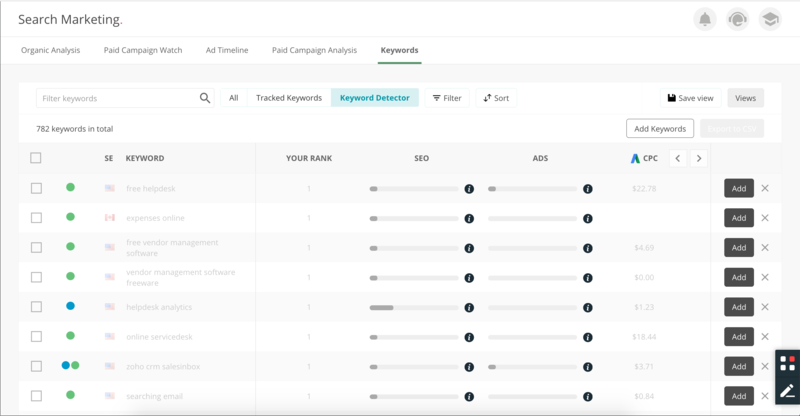 What do the Red & Blue Circles on the left side of the Search Marketing Keywords section indicate? 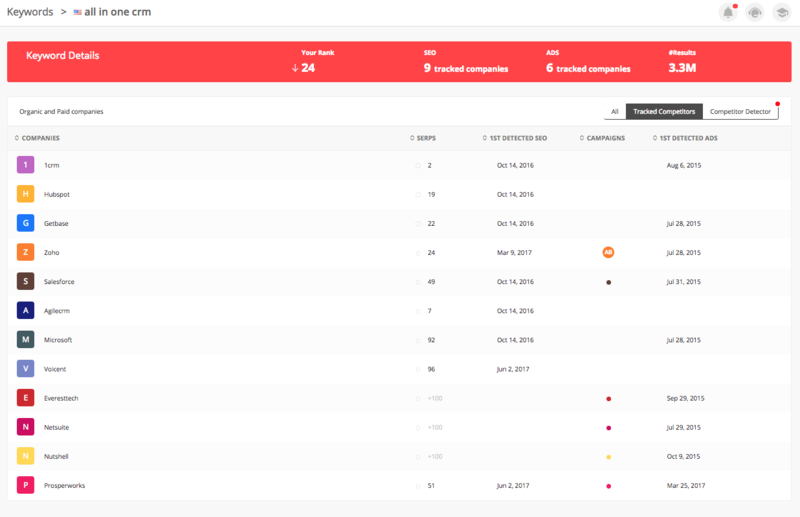 Tap any keyword in the table to view the Keyword Details including your Google rank for the keyword and competitor information related to this keyword.